With the arrival of BioShock Infinite's "Burial At Sea" DLC came the potential of a revival of one of gaming's most iconic locale's. That is, of course, Rapture. BioShock Infinite took place in the floating city of Columbia, a now ancient fictitious location bound by absurd principles and rotten to the core. Thanks to time travel and portals to alternate dimensions, the worlds of Infinite and the original BioShock were, in fact, connected. It's through that link in plot points that Irrational Games returns gamers to the world of Rapture, the underwater dystopia that blew our minds when we first explored it. 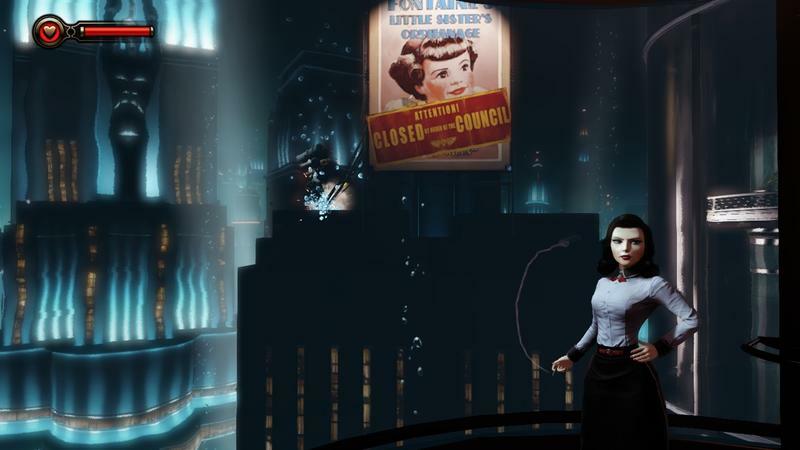 Coupled with the mechanics from BioShock Infinite's floating city, is Rapture's return glorious in Episode 1 of "Burial At Sea?" Let's find out. Of course, having a sense of deja vu while playing "Burial At Sea" should, in most respects, be a good thing. 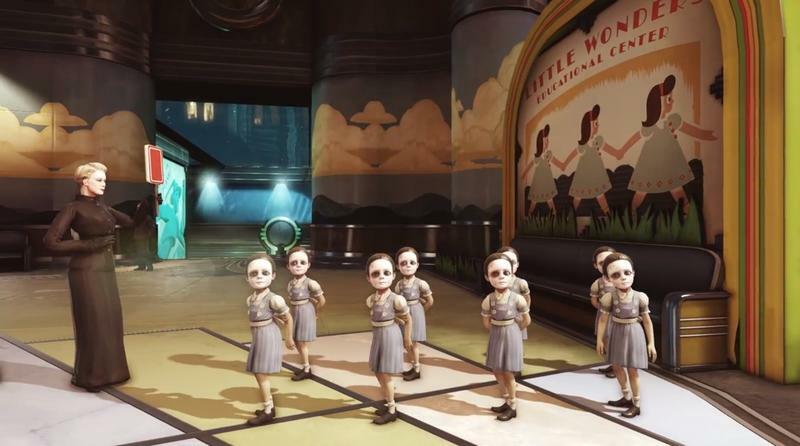 Irrational Games chose to revisit Rapture specifically to play on our senses of nostalgia and memory. It would be good, then, that the entire place feels old. Unfortunately, Irrational Games mixed too much of Columbia with this retake on Rapture. "Burial At Sea" stood as a wonderful excuse to visit a form of Rapture that hasn't been corrupted by Adam and overtaken by Splicers. This DLC was the perfect way for Irrational to show gamers the fall of the once great Rapture. Instead, we get the wax museum-like NPCs that made up Infinite put in a city at the bottom of the sea for a few minutes, and then we're transported to an area of Rapture that feels almost exactly like the one we explored way back in 2007. BioShock Infinite's opening sequence was so alluring because it was brand new. The static nature of the citizens was forgivable because the city itself was teeming with so much fresh personality and fiction that most gamers were enamored from the onset. "Burial At Sea," however, presents a locale we all already know with NPCs that feel far too stationery for their own good. That was forgivable in Columbia because we were distracted; but, having already lived in Rapture for nearly a decade, the false civilization feels way too fake. In fact, this whole game feels like Columbia placed beneath the waves. Even Skyhooks return for combat, and that doesn't make much sense in the original claustrophobic setting of Rapture. "Burial At Sea" is a detective story. More specifically, it's a riff on the classic film noir genre that made so many fantastic flicks over the last century. Booker is a detective in the city of Rapture. He's visited by Elizabeth and taken on a twisting and turning mystery plot that puts both parties in extreme danger. Elizabeth, in typical genre form, knows more than she's willing to divulge. It's up to Booker, and the players, to slowly figure things out. As a vessel for combat and getting from place to place, this noir story is just ok. It's a good excuse to move players from point to point in Rapture, but it's never enough to really intrigue or move down interesting paths. The weakest point, though, is Elizabeth herself. The leading lady of a noir story is just as much an object of mystery as she is a point of lust for the detective. The femme fatale has to be a romantic interest, it's what makes the relationships between the detective and the "victim" work so well. Elizabeth, as anyone who's played Infinite up until this point knows, can't be an object of this type of affection for Booker. It's a minor quibble in the grand scheme of the game, but Irrational is typically so good at telling stories that the relationship between Booker and Elizabeth feels horribly off in this narrative. "Burial At Sea" is short. Really short. The first episode took me just over two hours to complete. Now, I don't typically care about the length of games as a point of criticism. If an experience is good, it doesn't matter how long it takes for me to enjoy it. Journey, for instance, takes only a few hours to complete. I loved that game. BioShock Infinite's "Burial At Sea" will cost you $14.99 without a season pass. I wouldn't normally complain about $15 for campaign DLC, but this one is just a little too short and doesn't offer quite enough in new material to be worth the price tag. If the second episode is just as long, we're looking at paying $30 for an alright campaign with four hours of content that uses mechanics from another game. 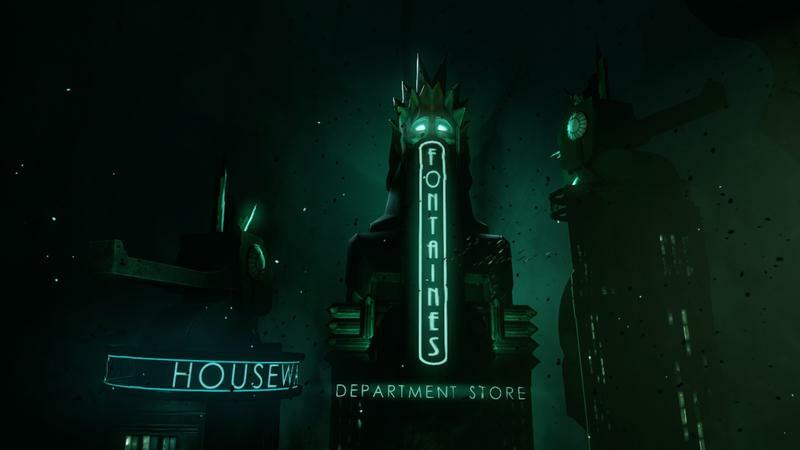 If you really, really love the BioShock universe and are dying for any excuse to sink back into Rapture, the $15 price tag won't bother you too much. But, if you set aside $15 specifically for this in the middle of a pleasantly crowded gaming season? You might be disappointed. Again, length of a game shouldn't be a main factor in criticism, but a price point like this warrants some discussion. If "Burial At Sea" were $5-10, I don't think I'd even be writing this section. The price and length of "Burial At Sea" hurt an otherwise average offering in the realm of campaign DLC. Perhaps Episode 2 will completely blow us away; but, as of right now, it's hard to recommend "Burial At Sea" as anything more than a piece of DLC to pick up during a sale. Mediocre plot devices twisted around a locale that should be so much better than it turns out make this extra content a little lackluster. The gameplay and characters all feel familiar, which is good and bad given the premise and reception of BioShock Infinite. The price and length of "Burial At Sea" hurt an otherwise average offering in the realm of campaign DLC. Were it a little longer, a little better or a little cheaper, we might not be struggling over the price so much. 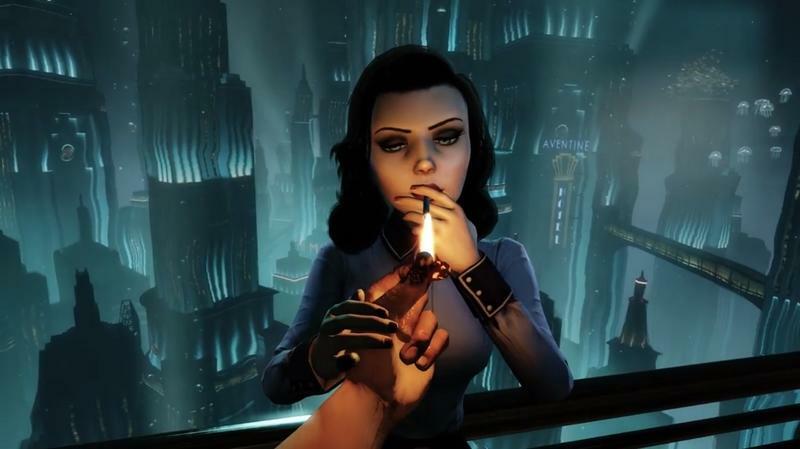 I want to love "Burial At Sea," and I'm hoping Episode 2 is amazing. For now, I'd say hold on to your money just a bit longer. We purchased Burial At Sea with company funds. We completed the DLC before starting this review.